Facebook has unveiled a new standalone app it's calling 'Mentions,; which is designed to help famous people manage their presences on the site. Call it Facebook for the famous. 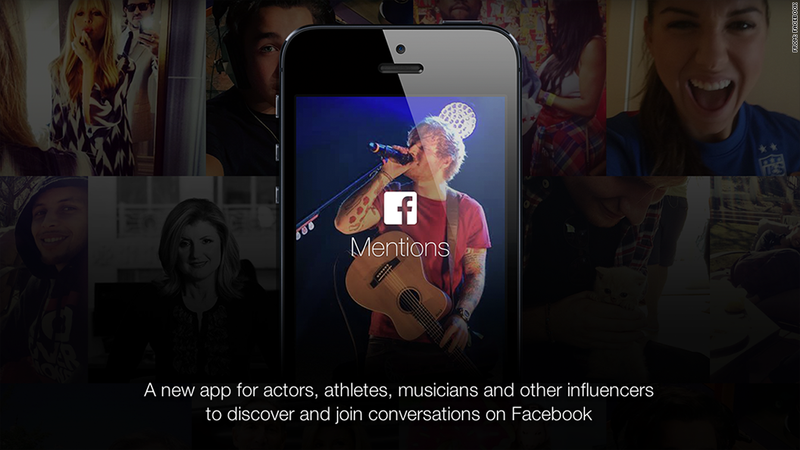 Facebook (FB) has unveiled a new standalone app called "Mentions," which is designed to help famous people manage their presences on the site. The app is only available to users with "verified" accounts -- celebrities, government officials and other public figures. The app tracks posts that mention the celebrity user. Mentions lists them in a News Feed-like interface that makes it easier for famous people to respond to fans directly. Mentions also lets users do live Q&As with fans from their phones, and tracks the most popular stories on Facebook in case public figures want to weigh in. It may not rival personal assistants or fabulous wealth on the list of celebrity perks, but it at least beats the blue check mark.